German for 'raven's skull'; the great black bird is famous for it's prophetic powers, being Odin's messengers and capable of foretelling death. 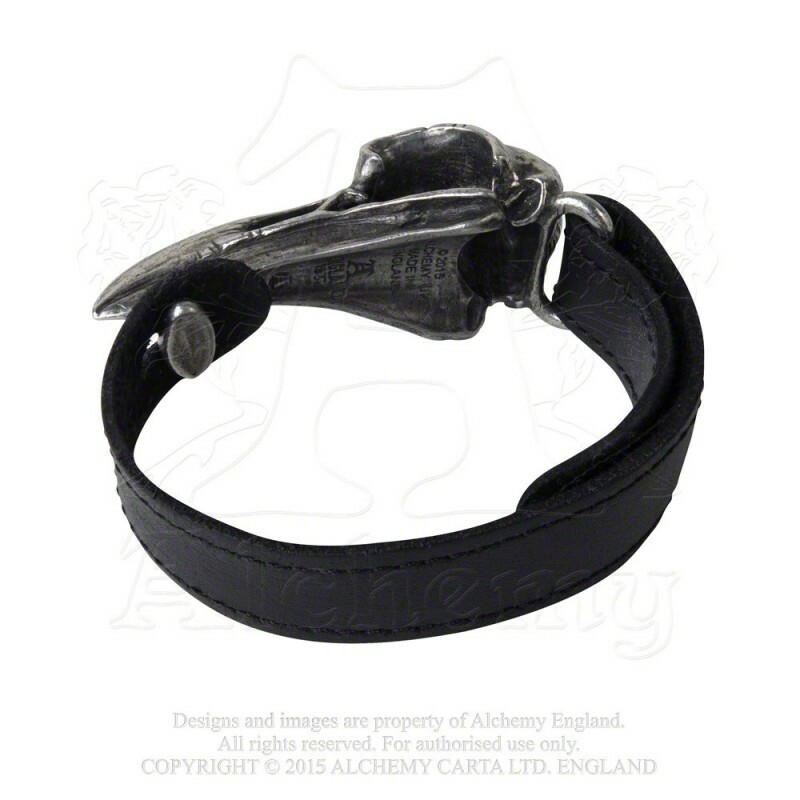 The great black bird is famous for it's prophetic powers, being Odin's messengers and capable of foretelling death. 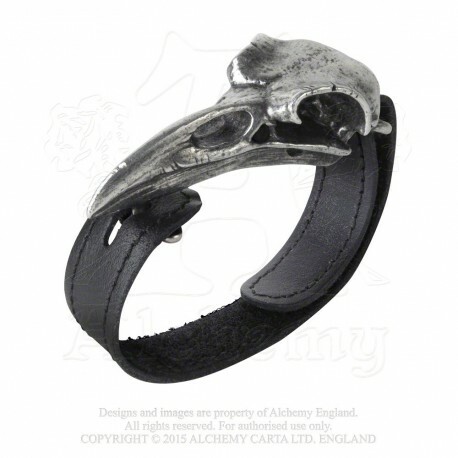 A large, authentically detailed raven's skull, in polished pewter and set upon an adjustable, black leather, ½" (1.3cm) wide, wrist strap, fastened by a fixed button at one end and a Velcro'd loop at the back. 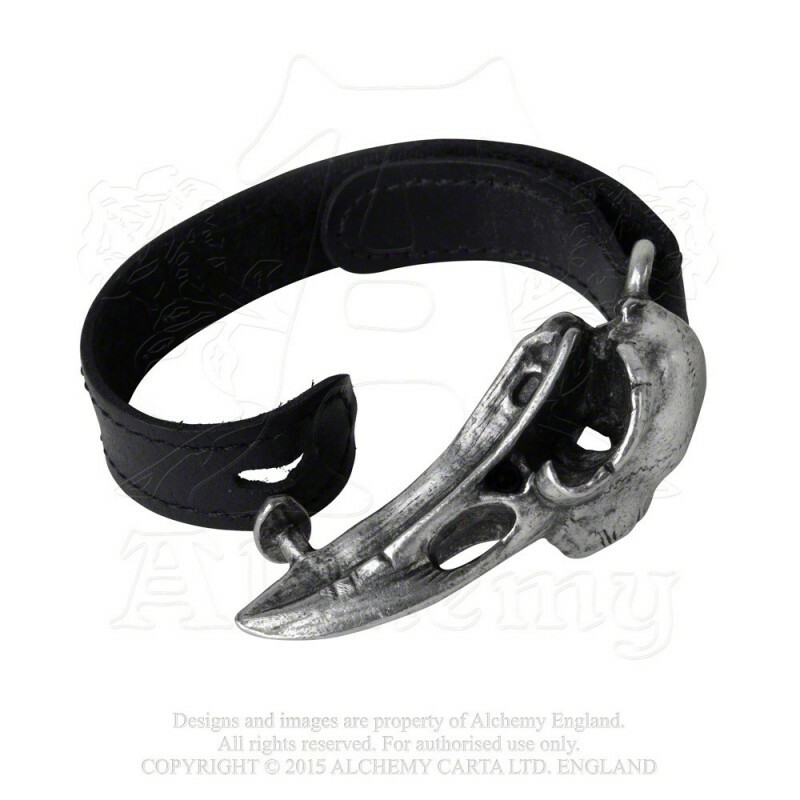 Alchemy's leather wrist straps are available in one adjustable size.